The cell cycle arresting y-subunit strictly requires the so-called Elongator complex, originally described to be involved in elongation during RNA polymerase II transcription (Otero et al. 1999; Wittschieben et al. 1999; Winkler et al. 2001; Frohloff et al. 2001). In addition, Elongator was considered to be instrumental in rather diverse processes, such as transfer RNA (tRNA) modification and exocytosis (Huang et al. 2005; Rahl et al. 2005). 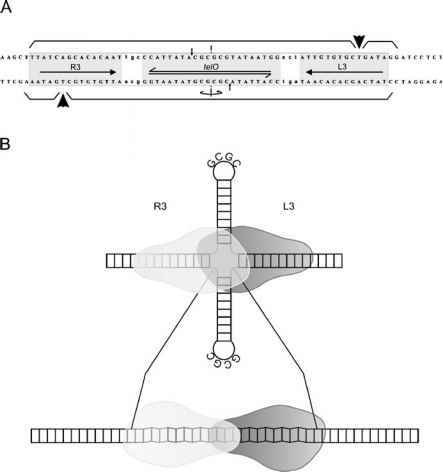 Only quite recently, however, it was shown that Elongator's key function concerns posttranscriptional modification of tRNAs, and concomitantly it was proposed that transcription and exocytosis defects of respective mutants are downstream effects due to defective tRNA modification (Esberg et al. 2006). modified tRNA species (tRNAUUC, tRNA^uu, and tRNAUUG) specifically at the 3' side of the wobble nucleoside with a strong preference for tRNAGlu, generating a 5'-hydroxyl group and a 2'3' cyclic phosphate end (Lu et al. 2005; Jablonowski et al. 2006). Supporting the conclusion that such modified tRNAs represent the target sites, overexpression of tRNAUUC alone or tRNAUuU and tRNAUUG in combination confers zymocin resistance (Butler et al. 1994; Jablonowski et al. 2006; Lu et al. 2005). As for Elongator subunits Elp1-6, removal of several Elongator interacting proteins, such as Kti11-13, Sit4, Sap185, and Sap190, confers immunity toward zymocin (Frohloff et al. 2001, 2003; Jablonowski et al. 2001b,c, 2004; Fichtner et al. 2002a,b, 2003; Fichtner and Schaffrath 2002; Mehlgarten and Schaffrath 2003). Since kti11-13 mutants not only display zymocin resistance but also lack mcm5 modifications of tRNAs (Huang et al. 2005), the paramount importance of such modification for zymocin action again became evident. Another zymocin relevant enzyme is Trm9/Kti1, a tRNA methyltransferase probably acting in concert with Elongator to carry out wobble nucleoside modification (Kalhor and Clarke 2003; Jablonowski et al. 2006). While tRNAs of cells mutated in either ELP1-6 or KTI11-13 do not possess the entire mcm5 group, trm9/kti1 mutants lack the methyl group of mcm5 only; nevertheless, they display robust toxin resistance (Huang et al. 2005; Lu et al. 2005; Jablonowski et al. 2006). The significance of the methyl group for target recognition by y is supported by the finding that the zymocin-protective effect of tRNAGlu overexpression is abolished when the methyltransferase Trm9 is present at elevated levels (Jablonowski et al. 2006). Interestingly, tRNA targets are known from bacterial protein toxins as well, e.g., for colicins E5 and D (Ogawa et al. 1999; Tomita et al. 2000). As for the zymocin, both latter toxins are tRNases cleaving specifically either at the 5' or the 3' side of the wobble nucleoside of certain tRNAs and produce a 2'3' cyclic phosphate end (Ogawa et al. 1999; Tomita et al. 2000). However, irrespective of a similar mode of action of both bacterial toxins, the lack of sequence homol-ogy and differences in substrate recognition as well as catalytic mechanisms have led to the conclusion that such toxins have acquired similar functions through convergent evolution (Masaki and Ogawa 2002). The y-subunit of zymocin, representing a new member of toxic tRNases, does not display significant similarity to either of the others, which may support the opinion that attacking tRNA constitutes an effective toxic principle that can be realized independently during evolution by making use of unrelated proteins.